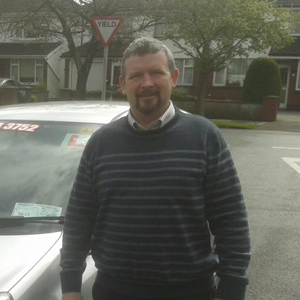 One of the most important aspects of driver training in Ireland is recognising that no two learner drivers are the same. Different learners will be at different stages of their training and will require different levels of tuition. As an approved driving instructor, you will be expected to monitor the progress of your clients and plan various lesson objectives to meet individual needs. Prior to lessons, instructors should ensure they have a thorough idea of what they want their clients to achieve. Before the beginning of every practical driving test, learners will be asked by their examiners to answer a few questions regarding the vehicle - including the location of specific controls. It is important for driving instructors to be familiar with their vehicle, whether it’s their own or provided by the employer, and thoroughly and clearly explain about the different functions of the vehicle. This should include even the most basic of functions, such as starting the car and using indicators. As part of the practical driving test in Ireland, learner drivers will be expected to perform basic manoeuvres in the vehicle which demonstrate the ability to drive from A to B in a safe and efficient manner. These basic procedures include moving off from a parked position, stopping and starting the vehicle in traffic, turning or carrying on ahead at crossroads, and overtaking other road users when it is safe and necessary to do so. These procedures are normally the first manoeuvres to be taught. Along with basic procedures, driving instructors will be required to teach new learners about standard practices and habits that they should employ as standard every time they get behind the wheel, and these practices should be promoted and encouraged during every lesson. Standard practices include regular glances in both rearview and side mirrors to monitor other road users, using indicators to inform other road users of intentions, and remaining within the posted speed limit. 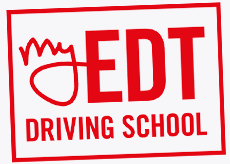 Once basic procedures and standard practices have been covered and learners are starting to become more confident on the roads, driving instructors will be required to focus on the more advanced manoeuvres which learners may be asked to perform during their practical driving test. These manoeuvres include reversing around a corner, performing a turn in the road, and parking in marked bays. Teaching these manoeuvres will be covered in your approved driving instructor training. As part of your driving instructor training in Ireland you will be taught to identify situations in which risk may be heightened, and how to plan for unexpected road conditions. Driving instructors are responsible for highlighting common dangers to their clients, and chatting about the most suitable methods for managing unexpected situations. Driving instructors should be able to help learners anticipate the actions of other road users in advance, and take preventative measures to reduce risk. Learner drivers are required to pass a theory test before they’re eligible to take their practical driving test, and driving instructors should be on hand to assist with studying for this module. The good news is that the theory test is based on the Road Safety Authority’s (RSA) Rule of the Road, which will also be included on stage one of the Approved Driving Instructor (ADI) test, so instructors should be well versed in the ins and outs of this information, and be able to deliver beneficial knowledge. At the end of each lesson, driving instructors should be able to provide honest, truthful, and reasonable feedback regarding the events of the lesson - this includes praise, criticism, and plans of action - booking a theory or practical driving test for example. Instructors should also be available to answer any questions that the learner may have, either in relation to the lesson, future training, or driving in general. Lesson plans for the next hour of tuition should be discussed and agreed upon.